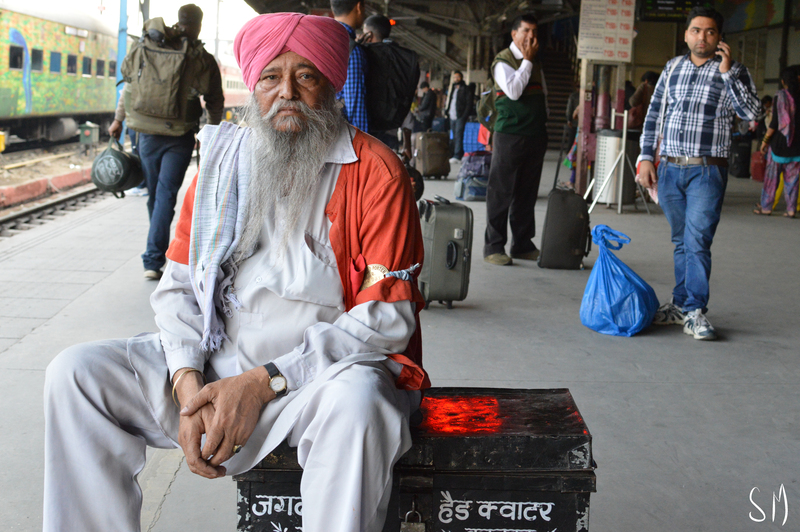 I took a lot of photos of the people I met in Amritsar and Delhi. The people I photographed were so polite and humble. 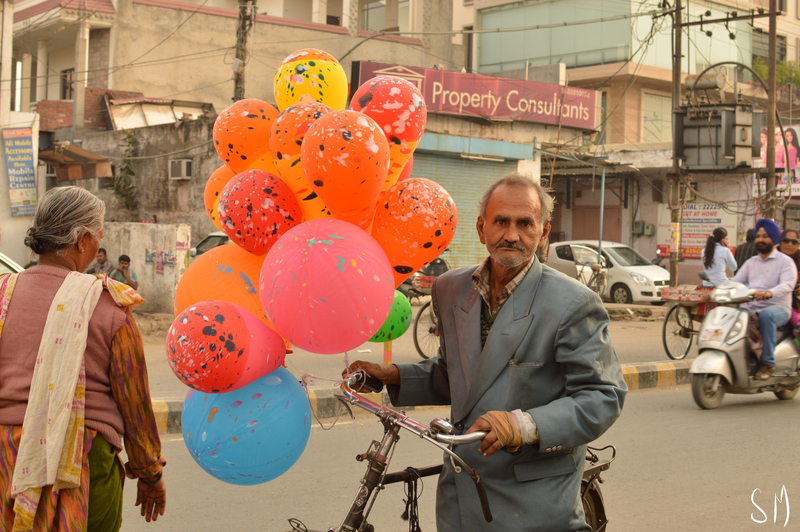 The kind old man with the balloons almost made me cry because he was so happy to hear that I wanted to take his photo. Here they are. I hope you like them! 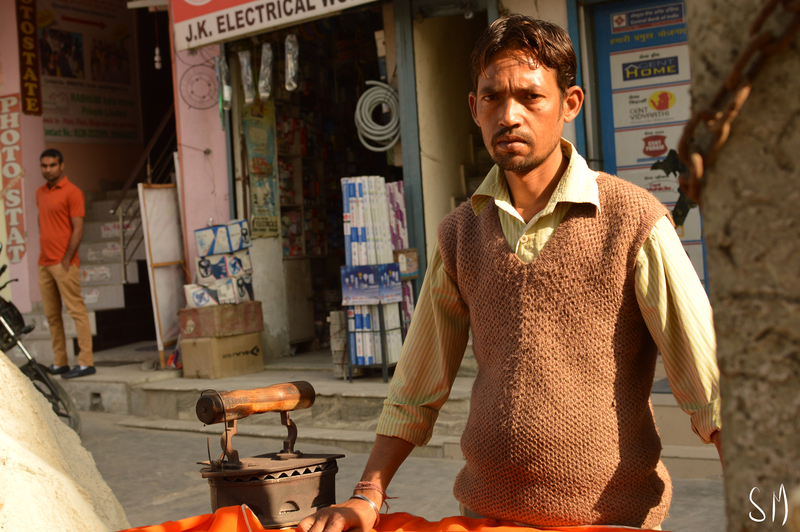 This man sells balloons on Lawrence Road, Amritsar, often standing outside the school gates when it’s time for the end of school bell to ring. 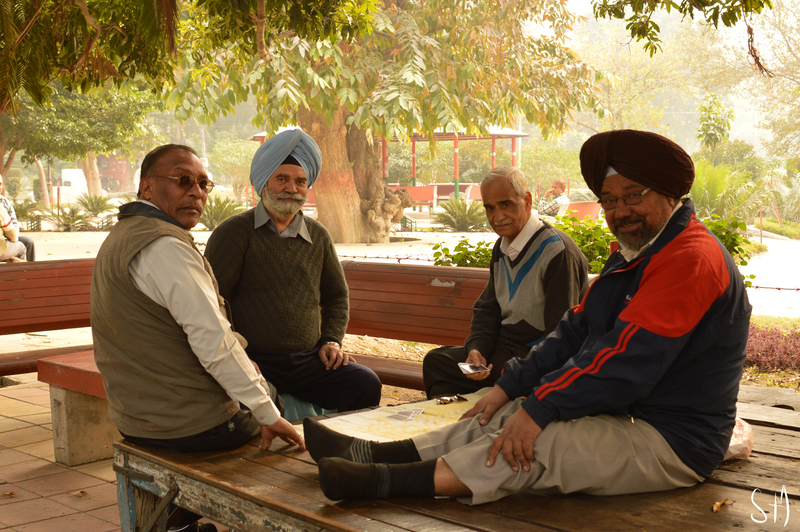 Four friends playing cards in Company Garden, Amritsar. 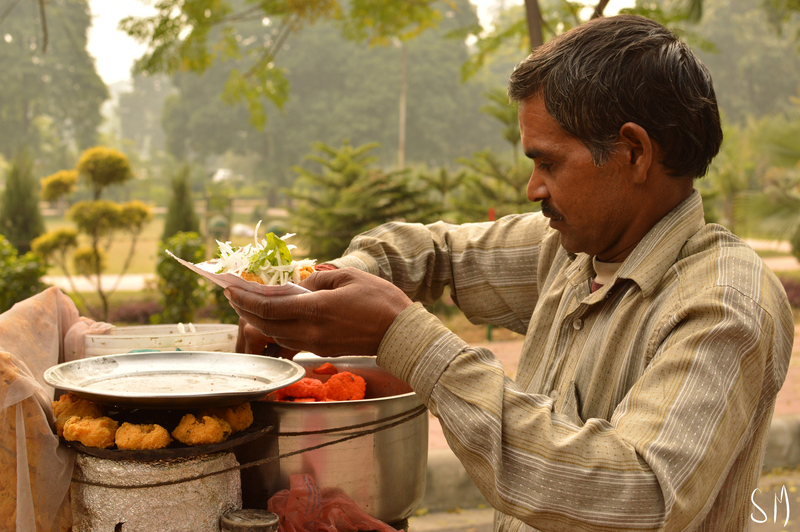 A street food vendor, selling savoury laddoo. 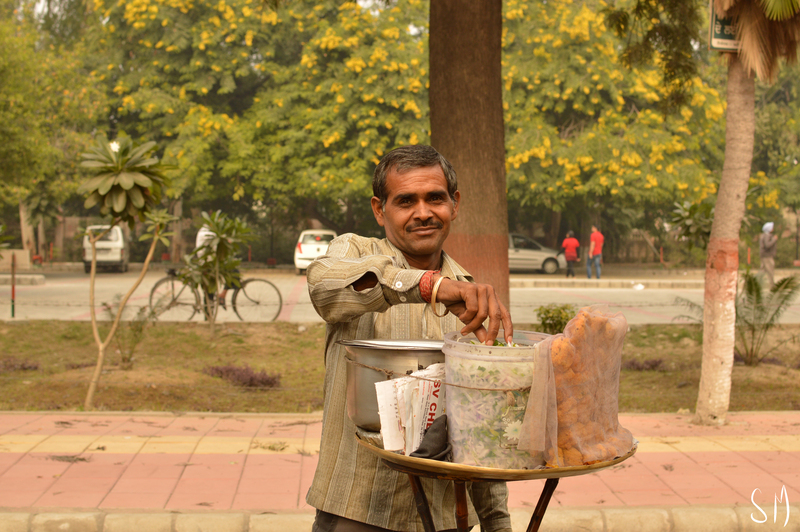 He walks around with his portable cooking station, lots of passers-by stop him for his laddoos which are served with pickled carrots. Delicious. 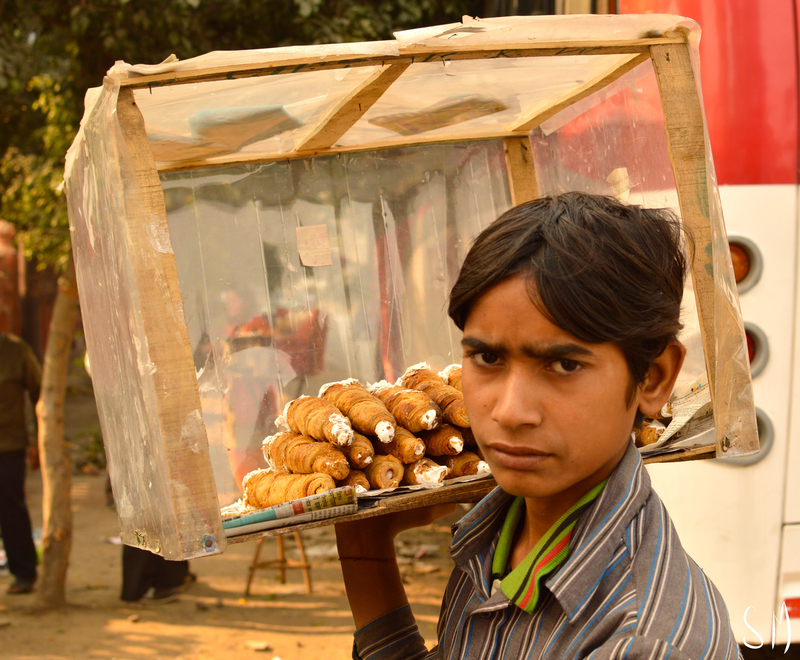 A young boy selling cream rolls, flaky pastry filled with cream. 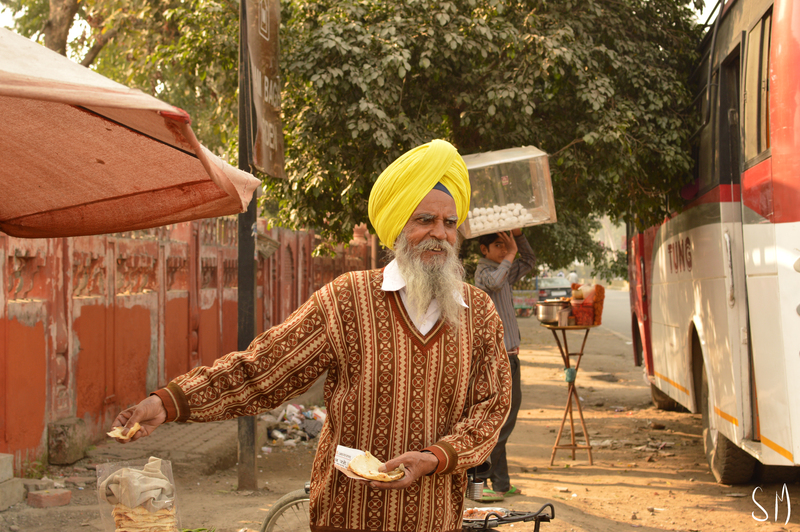 This older gentleman has been selling puri and chole outside Company Garden for many years. 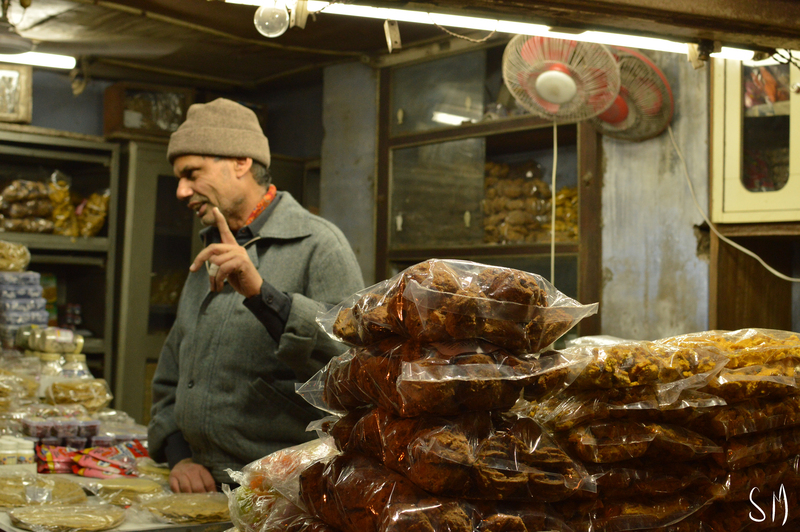 Advising us to buy puri and chole – we didn’t on this occasion as we were about to jump in the car. 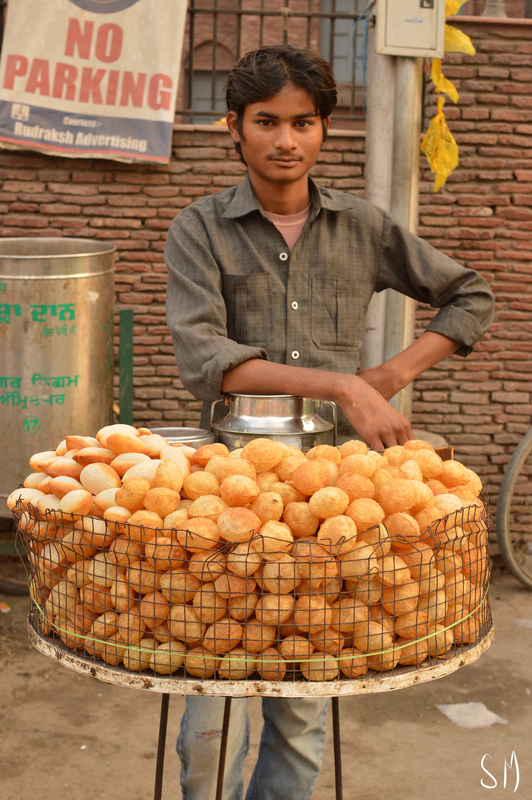 Pani puri stall outside the Golden Temple, Amritsar. I love this photo so much. I think because of how proud he looks. 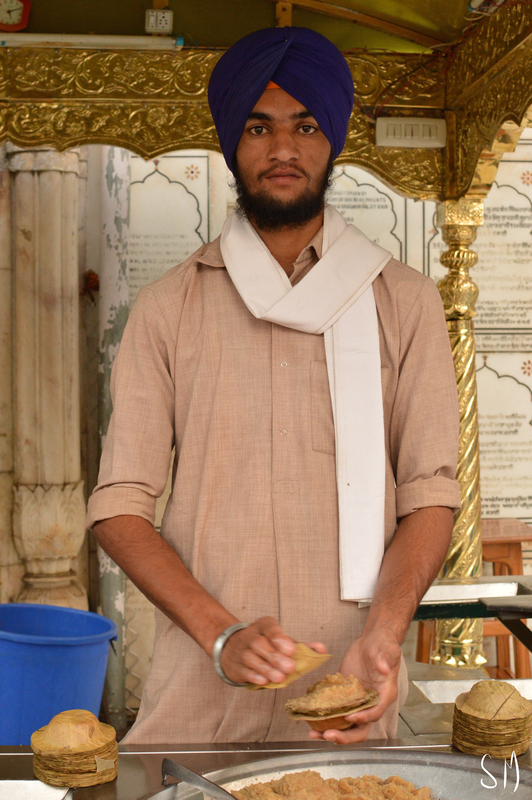 “Take my photo” said the tall man giving out the halva prasad at The Golden Temple. Chachey di Hatti near the Golden Temple, we bought a few spicy things here. 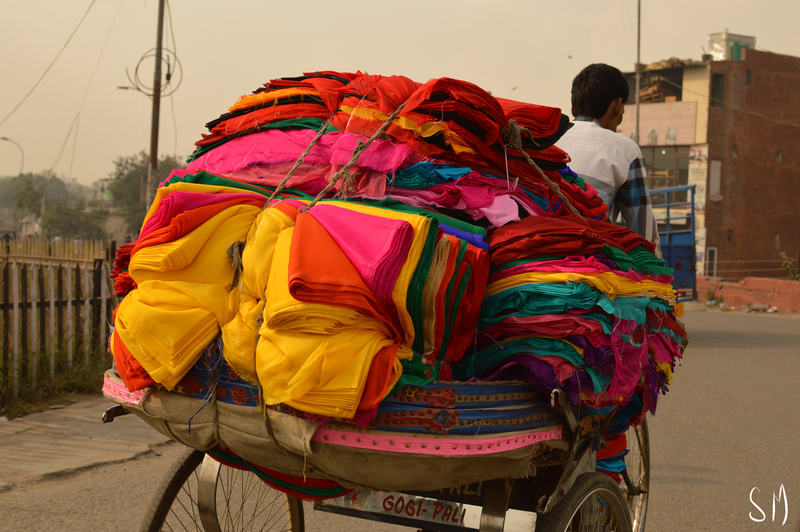 A man peddling a rickshaw with the most colourful fabrics ever! I took this from the car, as we drove past he saw me with my camera. I waved, he waved back. 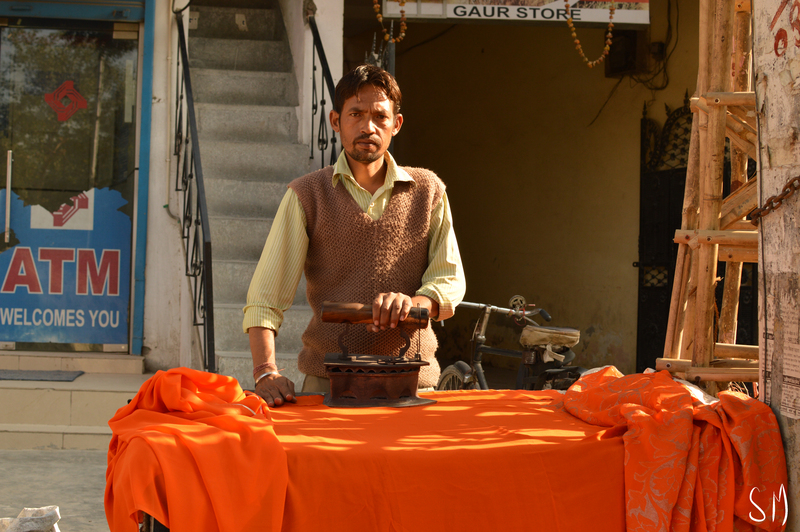 “The press man” ironing clothes outside of the hotel we were staying at in Noida. 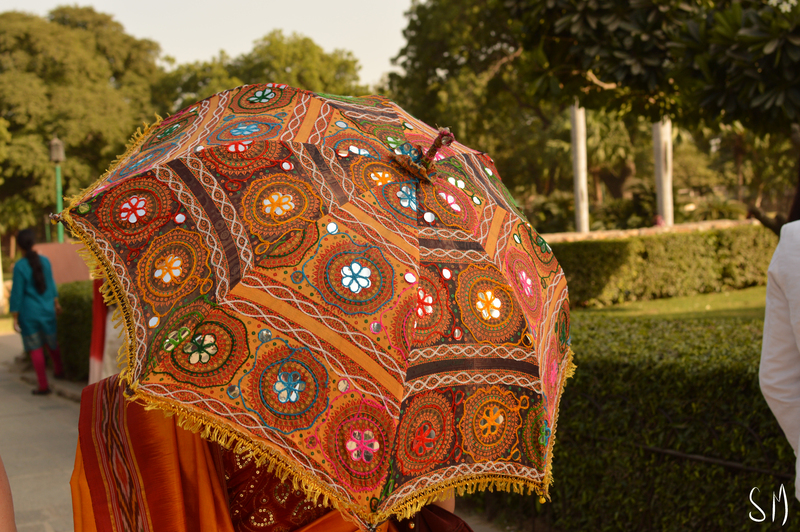 I followed this lady with the beautiful parasol until I was close enough to take this photo (which I then showed her), at Qutub Minar, Delhi. 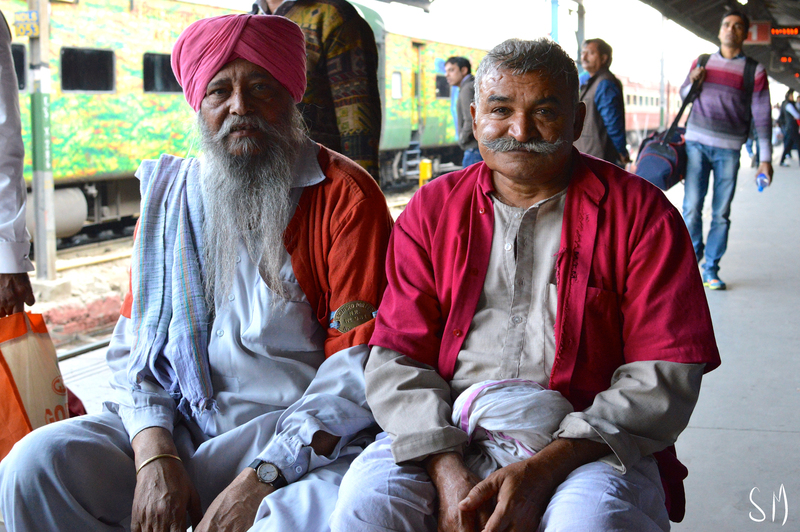 Two Coolies at Delhi Train Station. 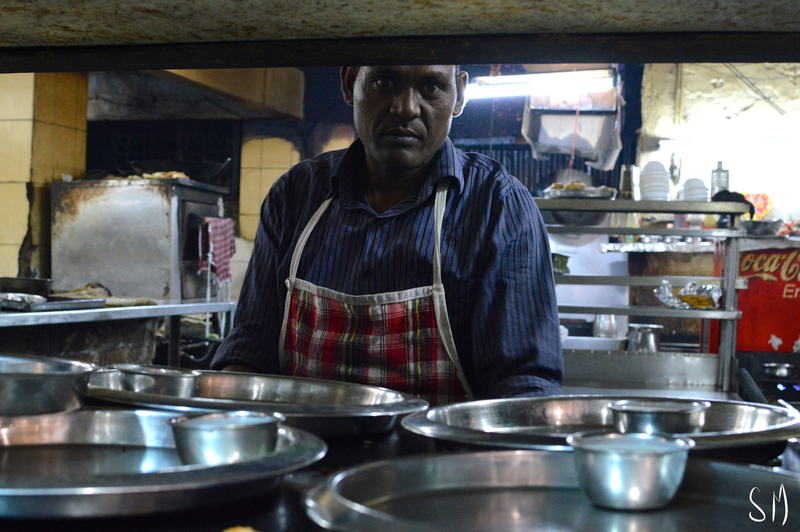 One of the many chefs at the famous Brothers Dhaba, Amritsar. 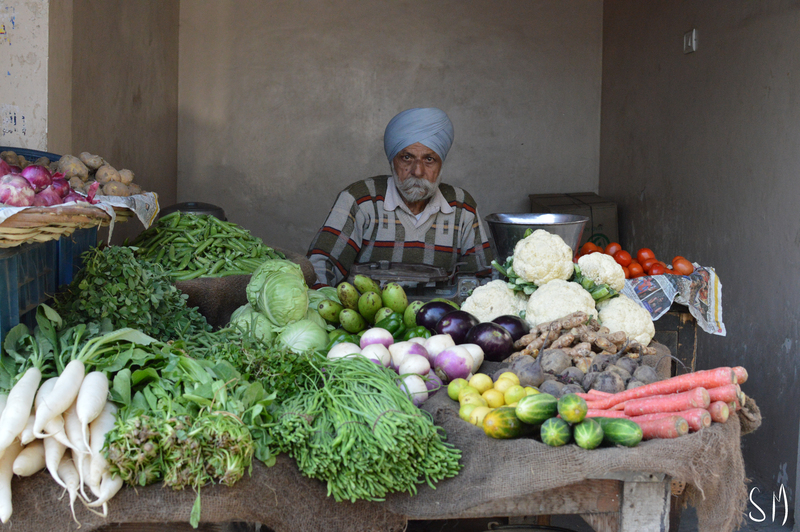 Fresh veggies for sale on Lawrence Road near the Am Papar stall. 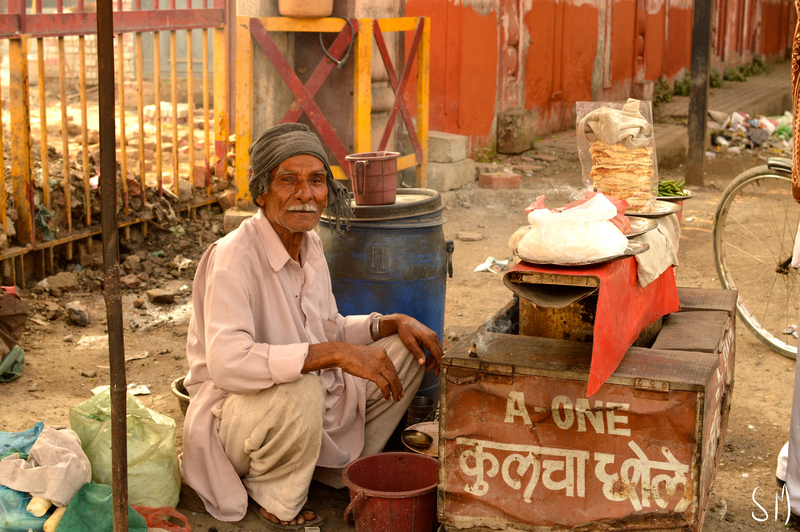 Truly beautiful portraits that seem to capture the spirit of the people! Thank you so much for sharing! Great images, I felt like had been with you in India in a very short time. The photographs are so colorful. excellent.